With SKYACTIV-X, Mazda proves that there is still a lot of potential in the traditional combustion engine. The Japanese manufacturer has already revolutionized the industry with its SKYACTIV-G engine and is at it again with the X, a new generation of the original SKYACTIV engine. Here is a short summary of the most interesting elements of the SKYACTIV-X engine. The most impressive element of the SKYACTIV-X engine is that it combines compression ignition with spark ignition. Although the process is a little complex, what you need to know is that the Spark Controlled Compression Ignition (SCCI) can ignite a lighter air-fuel mixture in the cylinder and optimize combustion. In doing so, it improves both fuel efficiency and performance. Essentially, you get the best aspects of the diesel engine without the inconvenience. You’ll get about 180 horsepower and 164 lb-ft of torque from the 2.0-litre four-cylinder SKYACTIV-X engine. That's a lot of power for an engine that isn’t turbocharged! 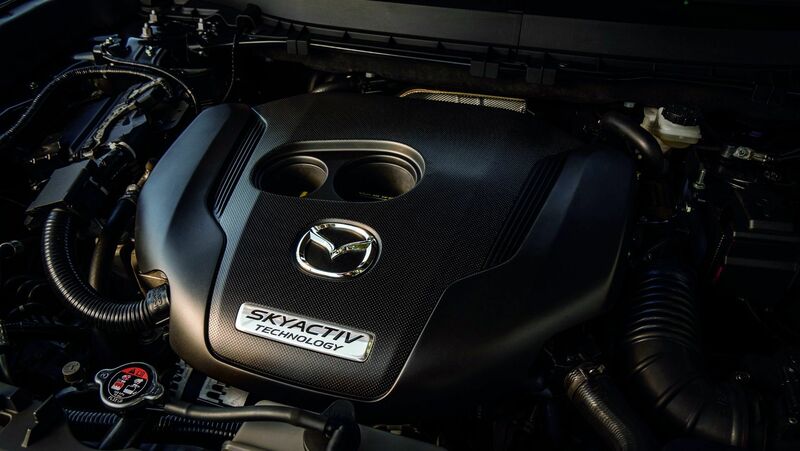 Despite its incredible power, the SKYACTIV-X engine’s average fuel consumption rating is reduced by about 30% compared to a similar engine of equal power. We’re fairly certain customers will be quite happy with such an impressive improvement in fuel economy. Contact us today to learn more about SKYACTIV-X technology.